Reward great thinking with our Perpetual Bright Idea Light Bulb Trophy! 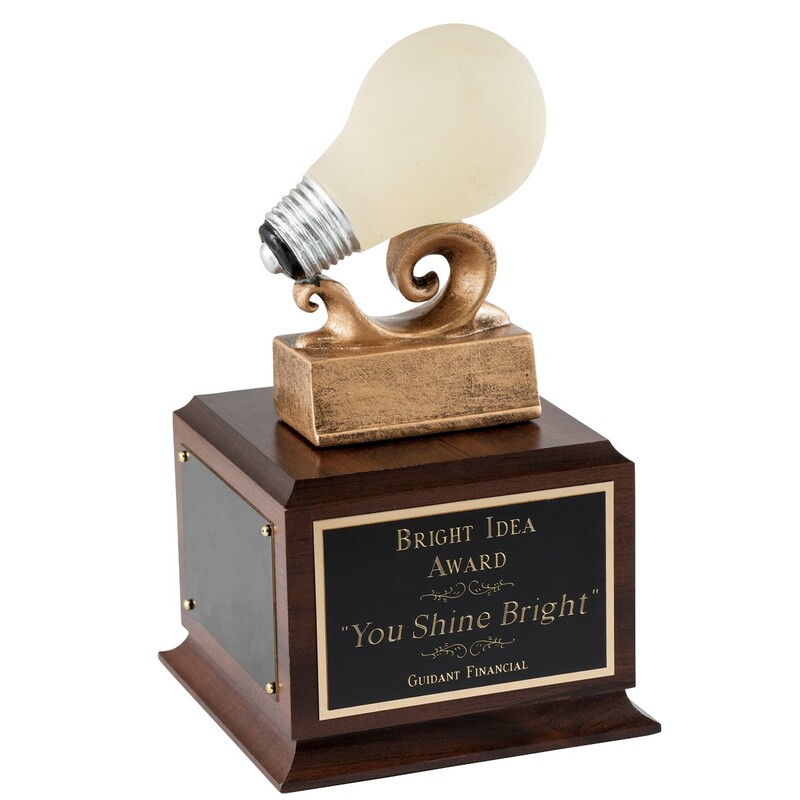 This fun trophy features an opaque light bulb on a square walnut base. Engraving on the front plate is free of charge; add the option of 3 blank side plates for holding many years of winners to come! Total height is approximately 10 inches tall.